Wool & Co. Feature Pattern of the Week - Pastel Power! Pastel power! Malabrigo Rasta has been reimagined in a whimsical palette of new pastel colors that are sure to brighten any day. Quick to knit & so satisfying, our classic Bobblicious Hat is the perfect pattern to showcase the subtle tonal quality of the confectionery colors. 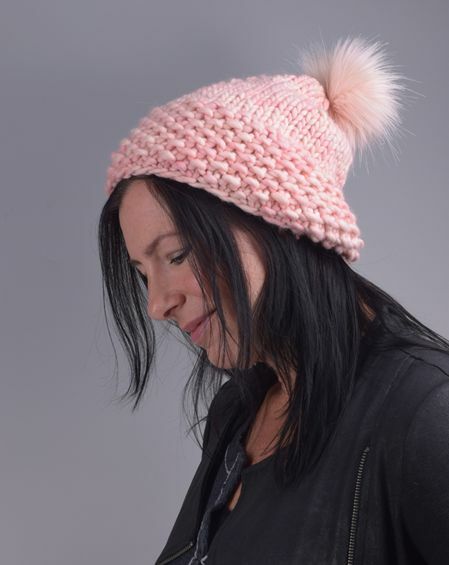 Topped with one of our artisan, faux fur pom poms it is the ultimate wearable treat. The complimentary pattern requires just 1 skein of Rasta, size US 13, 16” circular needles, US 13 double point needles, and an optional faux fur pom pom. We are also launching a brand new cowl this week that also showcases Rasta. The Turin Cowl is a textural, two-tone cowl that may be worn single or doubled. This cozy cowl features 2 complimentary or contrasting colors of Rasta & is knit on a size US 19 needle for perfect drape & movement. Looking for more ways to knit Rasta? Check out these new patterns by Malabrigo on Ravelry! Enjoy shopping the new Rasta pastels in-store or online.